Since summer squash have a high water content, they are not as nutrient-dense asthe winter varieties. Summer squash still provide several nutritional benefits.They are low in calories and provide a decent amount of vitamin C, potassium, and carotenes. Studies have shown that juice made from summer squash is equal to juice made from pumpkins, leeks, and radishes in their ability to prevent cell mutations. Summer squash are especially beneficial during the summer months due to their higher water content. They protect against dehydration and the carotenes help to protect against the damaging effects of the sun. Summer squash are low in calories yet high in Vitamin A and Vitamin C. Because both of these vitamins also act as antioxidants the health benefits of summer squash are many.They can help protect from heart disease and stroke and maintaining a healthy blood pressure. The fiber in summer squash also helps to promote colon health. 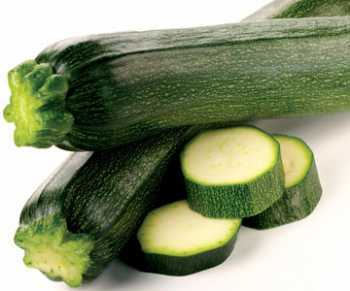 The fiber content in summer squash helps in reducing the risk of atherosclerosis and diabetic heart disease. It also keeps the cancer causing toxins away from the colon cells. The magnesium present in summer squash helps in reducing high blood pressure. Its folate helps in breaking homocysteine that, if it goes to a high level, can cause heart attack and stroke risk. The copper present in summer squash helps in reducing the painful symptoms of rheumatoid arthritis. Summer squash contains high water content, which prevents dehydration. Thus, the fruit is popularly consumed in summers. The carotene element present in summer squash helps protect the body against the damaging effect of sun. One cup of sliced summer squash, boiled with no added salt contains 2 grams of fiber.